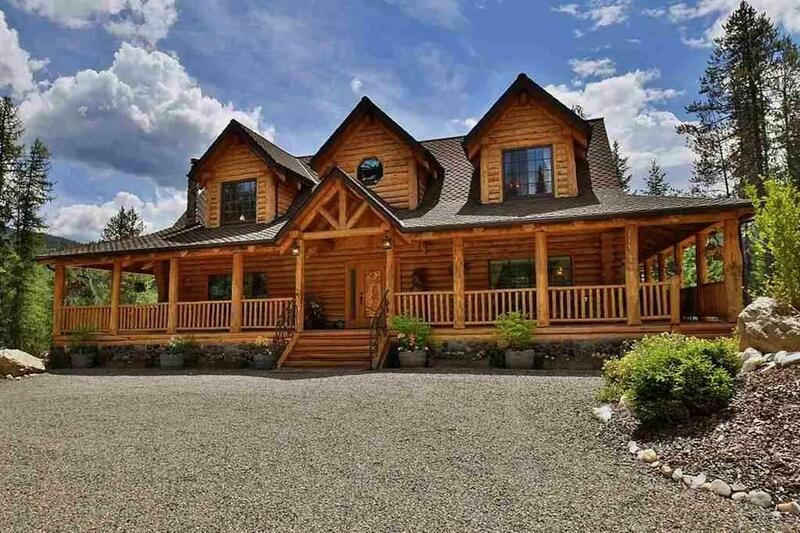 Custom-built log home nestled on 60 acres This rustically romantic estate has 3 bedrooms, 2.5 bathrooms, offering a natural appeal thats energy efficient. Appreciate the master suite spa, wrap around screened-in deck & expansive open kitchen. 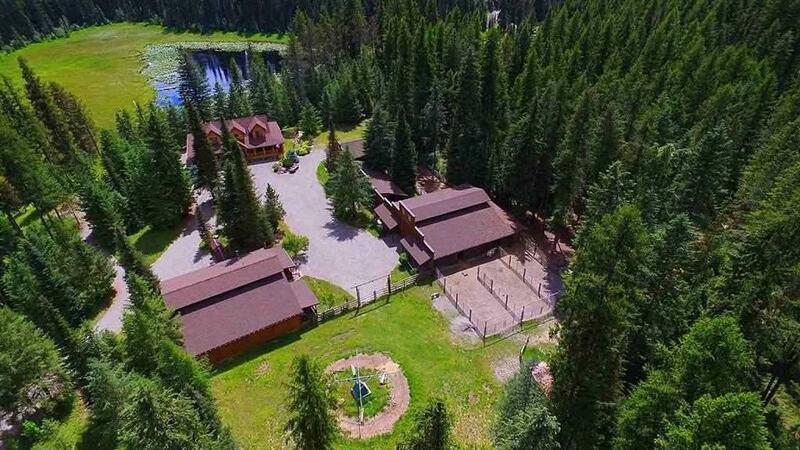 A true recreational estate with a western town, private trout-stocked lake & 1,296 sq ft guest home. 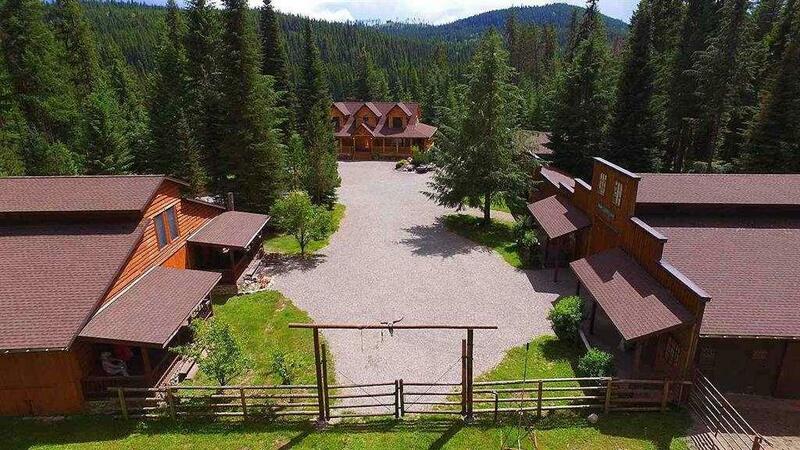 The 6-car garage, central vac and radiant heat are some of the highlights. 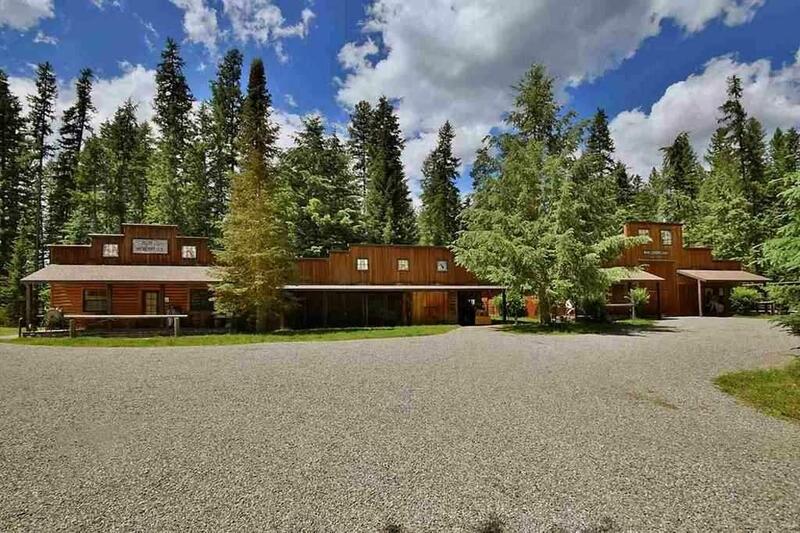 Property has indoor/outdoor riding arenas, hot walker, stables, 30 min to Colville Airport.